Spring is here and summer is not far behind and that means getting outdoors with the family to enjoy the weather. 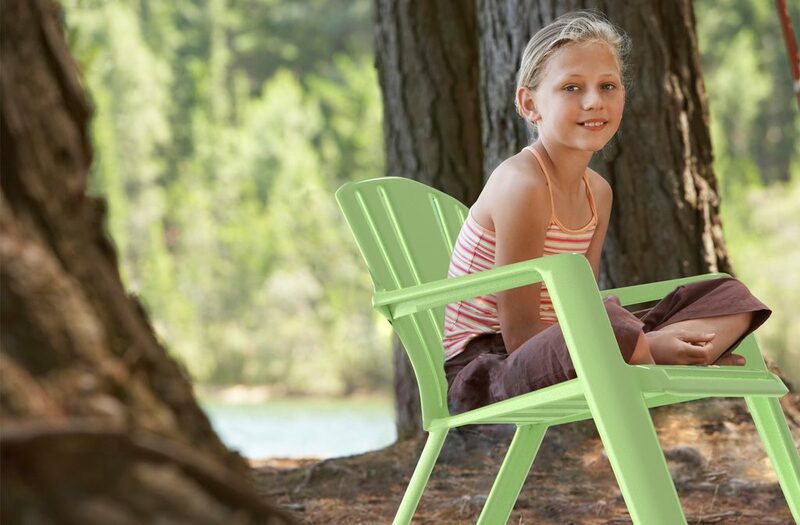 After a great day of playing in the backyard or at the lake, your kids will need a rest and what better way than on a children’s Adirondack chair! Originally made from simple wood slats and a design meant to minimize the amount of wood used while providing excellent support for your back and hips, today the Adirondack is produced in various materials including plastic, recycled resin, wrought iron, wicker and the original wood. Today, we will focus on children’s chairs in plastic. Why plastic? It’s lightweight, easy to clean and very affordable. Kids are very hard on furniture. As any parent can tell you, they don’t always sit on the chair correctly, don’t worry about spilling their food or beverage on it and they can do some serious damage to the chair if they decide it is a launching pad for their next adventure. Classic Adirondack chairs are made of wood, but even the best wood can produce splinters which can put a damper on an afternoon by the pool or playing in the backyard. It is also a much more expensive material to build the chair with and if you are only going to get a few summer’s use out of it, then it may not be very cost effective. So that is not a great choice. Plastic is very durable and made to stand up to the rough and tumble that kids can dish out. It can withstand the elements and is easy to clean with some paper towels and a household cleaner. Finally, it is very easy to manufacture so the cost can be as low as $10 a chair which makes buying several of them, or replacing ones that might break, an affordable option. Getting chairs better sized for young children are not only more comfortable for them, but also safer as they can’t accidentally fall through openings in the chair design or get a finger or toe caught in a tight corner somewhere. Avoiding the first aid moments, alone, is enough of a reason to invest in a few of these right-sized chairs for your little ones. And having more than a couple on hand makes you ready for those summer playdates, pool parties or birthday celebrations where you may have the whole neighborhood in your backyard! Let’s take a look at three options you have for these Kids Adirondack Chairs in plastic. Kids can now have a traditional style chair for their very own. Made of durable plastic and sized for young children, theis chair follows the classic design of the Adirondack. Customers who have purchased this chair noted that the colors vary and the chair is sized for small children only. This chair from Little Tikes has a contemporary garden design made of lightweight plastic construction and provides comfortable high-back seating. Featured in vibrant Little Tikes colors. Customers who purchased this chair loved its design and use it both inside and outside the house. They also said that it is sized for only very small children. A Stacking Chair from Adams which is made of resin and can withstand the elements and will not chip or fade. Customers loved the vibrant pool colors and its slightly larger size so children will be able to use the chair longer. All three chairs are a good choice, but the hat tip goes to the Adams Stackable Chair. Its design saves space when using multiple chairs, offers the same durable frame which is easily cleaned and, because it is slightly larger than the other models, your kids will use them for more than one summer. An honorable mention to the Little Tikes chair if you are looking for a chair sized for your littlest tike! 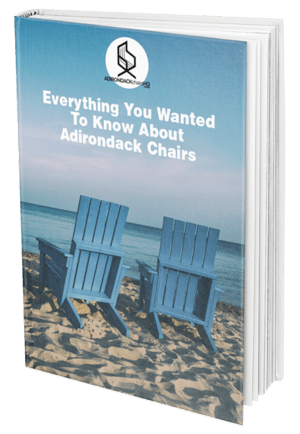 Don’t forget to check out our article on adult Adirondack chairs.